My Hainanese hubby and son love eating my fried Hainanese chicken chop. It’s a simple dish which I could prepare in a jiffy. I often store chicken chops in my freezer, in case there is a sudden request for it. As I used cracker crumbs for the crust, the chicken chop tastes crispier. Nowadays, food stalls do not serve traditional chops as it is more expensive to make due to the ingredients used. Also, it is more convenient and cheaper to use ready packed bread crumbs. My son usually gets hungry in the evenings. Like the Korean housewives portrayed on TV, I would usually make some side dishes. I store them in my fridge for a quick meal or snack. There would be different types of side dishes. 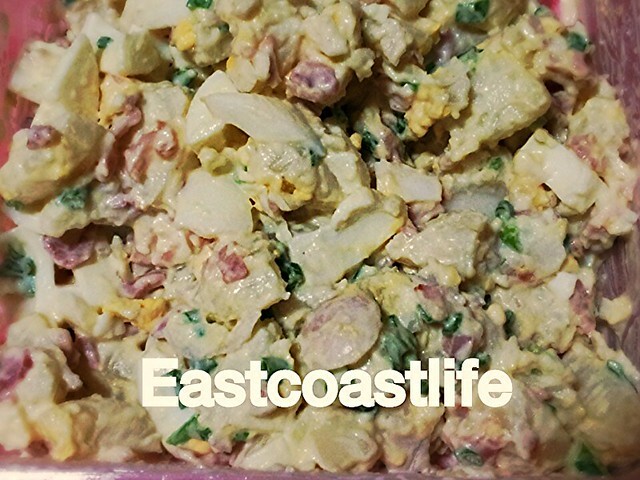 The most popular dish in my family is potato salad. Whenever my son sees the chilled potato salad, he would request for fried Hainanese chicken chop. haha….. Potato salad goes well with my Hainanese Chicken Chop. I have written down the recipe for the Hainanese pork chop. Please adjust the ingredients and seasoning according to your taste. 1. Make slits on the de-boned chicken thigh if it is too thick or else the outer surface will be burnt and the inside is still raw. 2. Marinate chicken chop for at least an hour to get a more flavourful taste. Use salt and pepper to taste. 3. Crush cream cracker into fine crumbs on a shallow plate. 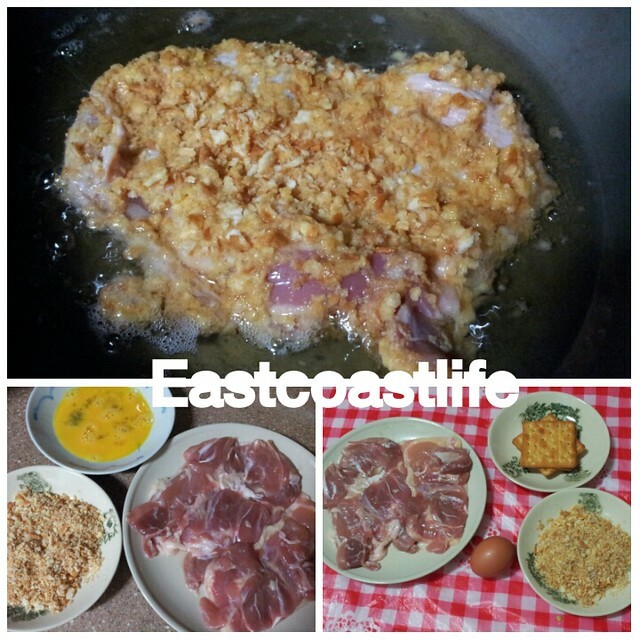 Coat marinated chicken chops with beaten eggs, followed by cracker crumbs. 4. Heat enough oil in the wok to shallow fry chicken chops. 5. 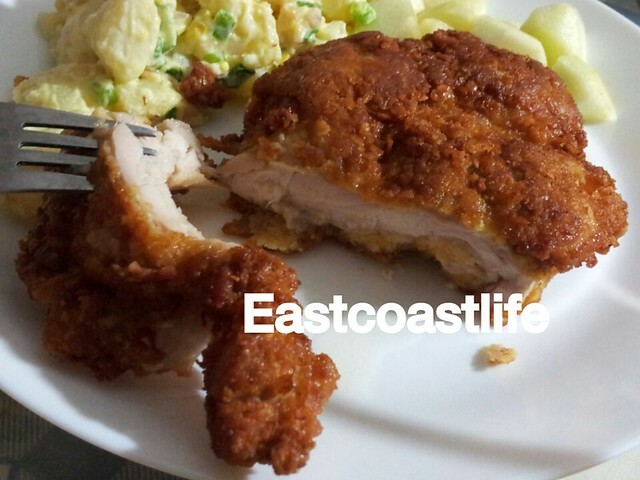 Fry the coated chicken chops until golden brown. Remove them and place on an oil blotter. 6. Serve it with steamed white rice or sides like potato salad and/or sour prune apple cubes. You can make a sweet and sour tomato sauce to pour over it.